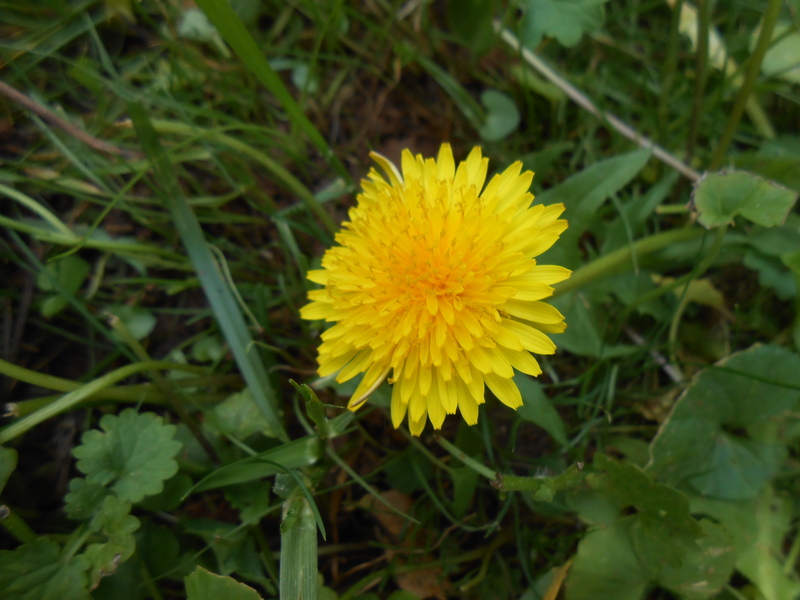 A beautiful yellow flower that unfortunately is classified as a weed. It can be eaten in salads or make a delicious wine. The word dandelion comes from the French “dent de lion” meaning “lions tooth” because of its long, coarse-toothed leaves. Hearty and remarkably persistent, dandelions remain vital through out the year. It remains the most common and recognizable weed. So, my lawn will not be perfect-I will not fret about the occasional pop up-I just pick it and stick behind my ear. Be happy! “Which thou wilt propagate, to have it pressed.” Shakespeare-Romeo and Juliet. Today, in our Master Gardener’s class we were outside and learned different ways to extend our plants. We learned different ways to divide or to make new plants from cuttings from the parent stock. Fun. 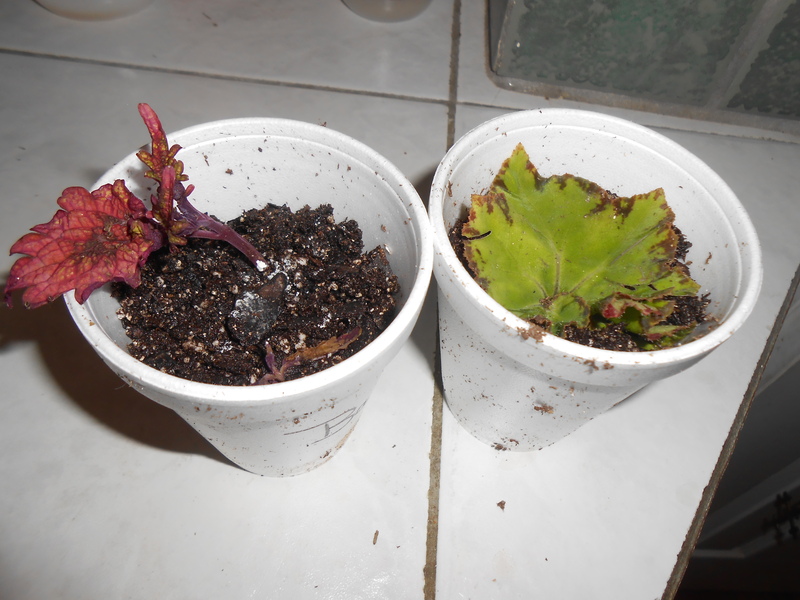 First picture is a begonia that is to be rooted by a stem with only one leaf. 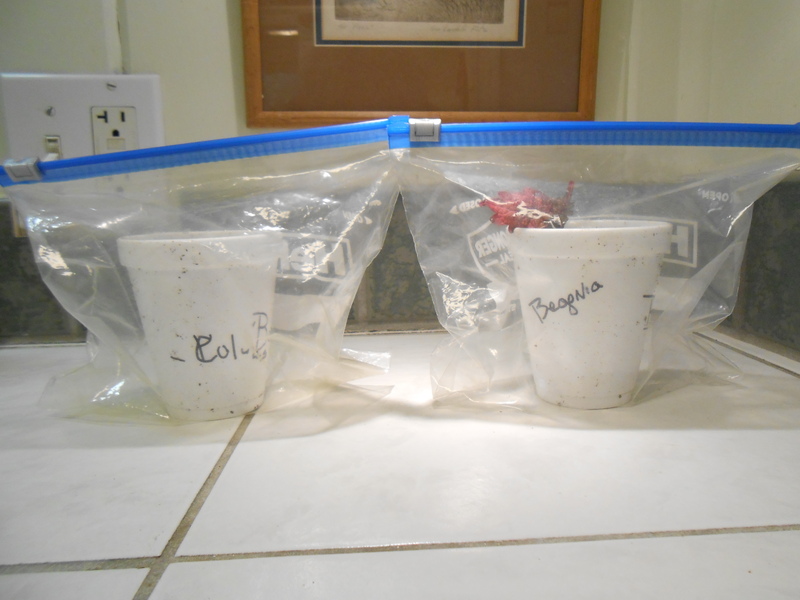 The cup on the right is a coleus leaf that is simply laid on top of the soil, but pressed down so all parts make contact. When it begins to root-it will push the leaf away. Second picture: mini greenhouses. Simply put into a plastic bag, opening up here and there to allow air in. How cute is that! I have no idea what that phrase means! 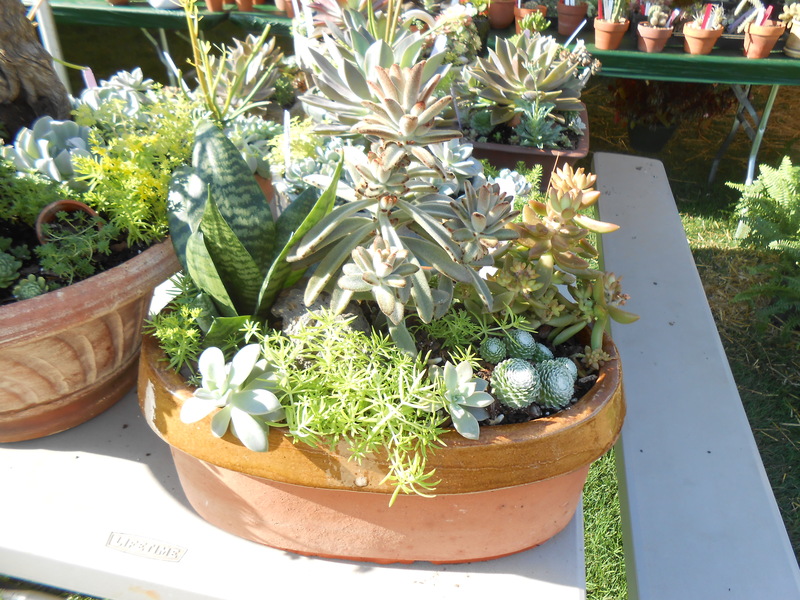 Succulents are sometimes known as fat plants-they have parts that are thick and fleshy in order to retain water in arid climates. Very drought resistant and easy to grow. You can just lay them on soil (mostly the flower ones) and they will root. 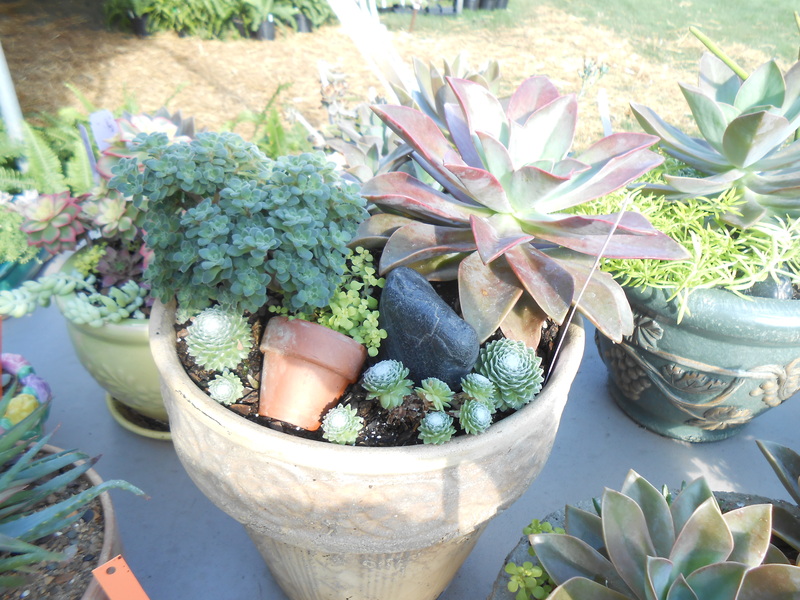 Many succulents come from dry areas, such as steppes, semi-desert, and desert. Best known are cacti. Virtually all cacti are succulents, but not all succulents are cacti. I have two large aloe plants in my house that comes in handy for mild burns (sunburn) or scrapes-a soothing healing ointment by just breaking off a bit of leaf. Our Botanical Garden here in Huntsville is in the midst of a huge plant sale. 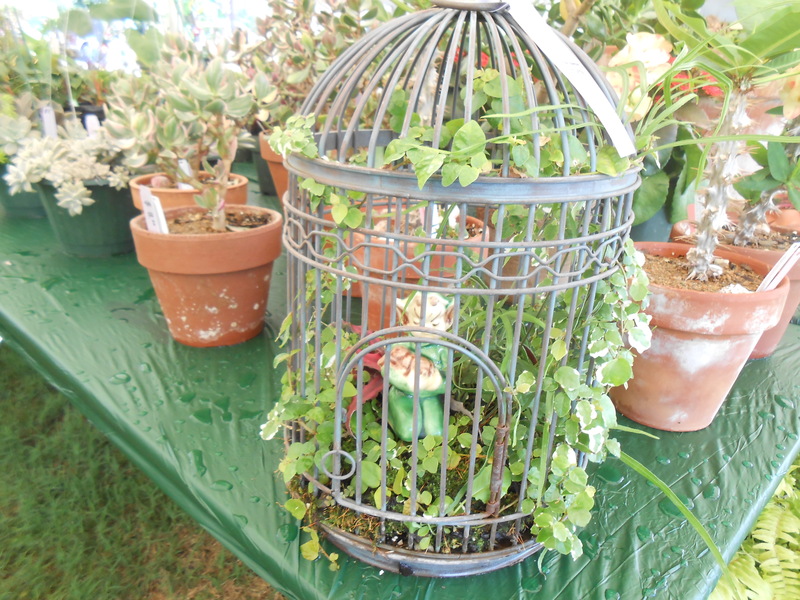 Went by the succulent tent and took some pictures that I think are clever. Here in Alabama-we survived lots of snow and then rain. While looking for pots to begin planting~~I discovered a wonderful surprise. In one of the pots I found two little hostas that were forgotten before winter began. Isn’t nature wonderful? Time to get my spring on! Chilling? Yes. Be careful when gardening-there are snakes and spiders everywhere.